Stephen Cape has spent nine years researching the names of people appearing on 1st World War memorials in Thurrock. 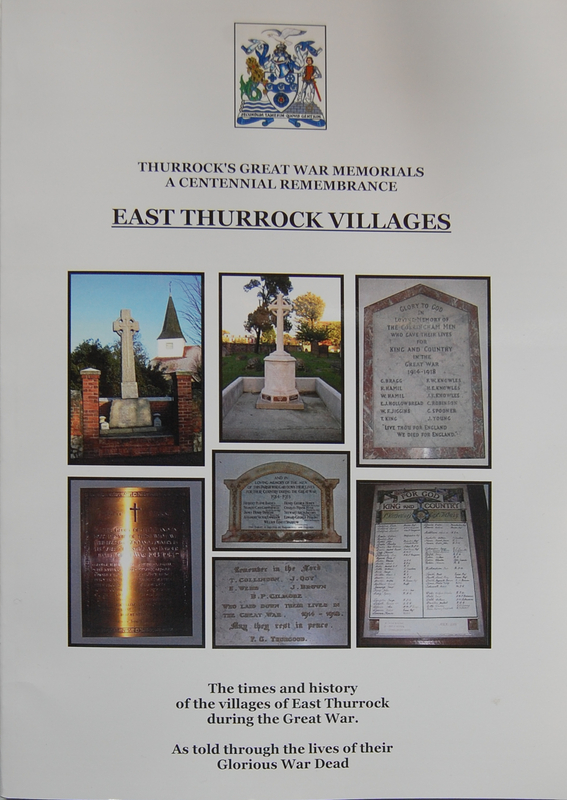 The result is a set of seven volumes remembering those from Thurrock who fell in the Great War. He began with Stanford-le-Hope, where he lives and then went on to cover the whole borough. The resulting books are well produced and tell the story of each area chronologically. He tells the story of the home front as well as the trenches. At each stage in the narrative when a Thurrock resident is killed, he gives us a panel with their name, rank, service number, the local memorial (or memorials) they are remembered on and a picture of their gravestone or memorial from the Commonwealth War Graves Commission. Most entries are expanded with quotations from the Grays Thurrock Gazette. The Gazette is also used to provide background stories about life in Thurrock between 1914 and 1919 – everything from haystacks catching fire in Chadwell to explosions at Kynoch Town. The are illustrations on nearly every page – from Thurrock and from the war zones. There are maps, extracts from official documents and personal letters. 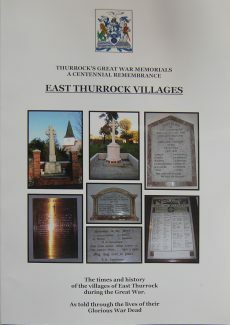 Chadwell is covered in the East Thurrock Villages volume which costs £20. The Tilbury volume costs £25. They can be purchased from the Thurrock Museum in the Thameside Complex. Although they are not cheap, they are good value and a lasting tribute – both to the brave men of Thurrock and to Steven Cape for researching and producing them.